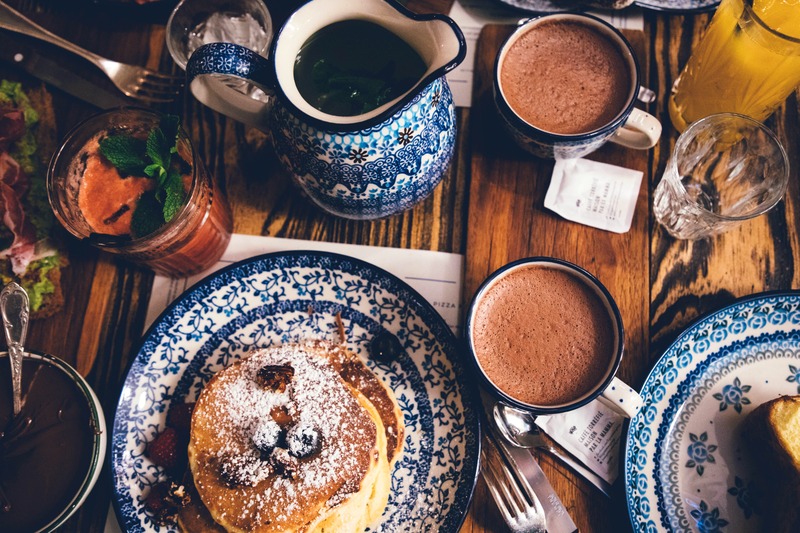 A small European restaurant, Dinha’s is a hidden gem that combines a warm, friendly vibe with an amazing breakfast spread. Owners Pascal and his wife Maria, run this restaurant with their family and their friendly approach makes this a perfect breakfast outing. Simple, yet wholesome – Dinha’s serves a plethora of Continental options – including omelettes, bacon, ham and cheese sandwiches amongst others. What Should I Eat Here? Must try their coconut honey pancakes, that are made with a generous filling of freshly grated coconut. The use of a local ingredient to an all time favourite dish of mine, made it even more special while being appropriate to the Goan vibe. They also have a wonderful English breakfast spread, and a host of fresh juices to choose from. Take an early morning walk on Benaulim beach to build your appetite and then walk down to Dinha’s.